When I first heard Hamilton, Ont. guitarist/singer/songwriter Jacob Moon was teaming up with Niagara region keyboardist/singer/songwriter Joel Parisien I was excited about the prospect. Moon uses looping technology to sound like a one-man band. The video of his cover of Rush’s “Subdivisions” has over half a million hits on YouTube and garnered praise from the trio itself. Parisien had fronted Newworldson, whose CD Rebel Transmission earned four 2012 Covenant Awards including Folk/Roots Album of the Year. Juggling performance schedules and other projects, the pair performed as the yet-to-be-named band at last year’s Supercrawl in Hamilton, found time to begin recording and started releasing videos of the work in progress. 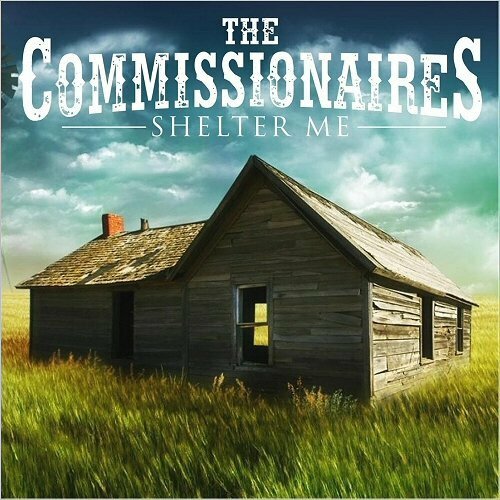 By the end of 2016, The Commissionaires were launched and the band’s debut CD Shelter Me was released. Parisien has earned the nickname “Soul Joel” for a reason. While researching some of the tracks on the CD, I happened to come across a YouTube video of singer/songwriter Donny Hathaway’s “Someday We’ll All Be Free.” Listening to it and then the Commissionaires version back-to-back, I found little difference between the two vocalists. “None of Us are Free,” an R&B song first recorded by Ray Charles in 1993 which was also covered by Lynyrd Skynyrd in 1997 and Solomon Burke in 2002 (with the Blind Boys of Alabama providing backing vocals). The title track “Shelter Me” is a perfect opening to the CD showcasing both Moon’s guitar, Parisien’s keyboard and both of their vocals in solo and harmony sections. I grew up listening to R&B giants like Earth, Wind & Fire, the Commodores, Chicago (all before the days of disco and pop popularity) and, of course, the Blues Brothers who reminded us of the power of the blues and R&B. Listening to Shelter Me takes me back to those days. The only thing that could be added to make the Commissionaires’ debut CD better than it already is, is a horn section. I’ve always said the sign of a well-produced CD is the number of times I play it. With the Commissionaires Shelter Me, I’ve lost track. Big fan of Jacob and Joel. Would love to have you review my new record as well, if you’re interested. Jacob will vouch for me.